Who is your exchange enrollee? From age demographics, income levels to industries represented. Traditional benefits NOT offered: Non-Traditional benefits can play a meaningful role by complementing and filling gaps. Quality versus quantity: A strategic mix of programs that will empower, not overwhelm, the enrollee. Yet even if you carefully follow these steps, it will only get you to first or second base with your exchange strategy. The next step in creating an exchange is finding a simple yet intuitive technology platform. Unfortunately, many of the technology solutions out there today are at best glorified benefits administration platforms, which engage the consumer in a one-way conversation. These platforms leave brokers stuck on second base, still searching for the elusive exchange strategy that will set them apart from the competition. So how can you hit an exchange homerun? You’ve got to start a two-way conversation. The enrollment process for the consumer has always been a one-way conversation, a monologue: “Here are your benefits, Mr. Employee. Good luck.” When it comes to exchanges, this approach is ineffective. You’ve got to engage Mr. Employee by asking questions. His answers will allow you to pinpoint and make available the solutions that best fit his unique needs. When you stop monologuing and start asking questions, you might be surprised by what you hear! For example, according to an AON survey, 54% of consumers ranked having access to cost and quality data across multiple insurance companies as being valuable. Does your exchange include the right solutions to meet those needs? New Benefits offers a powerful transparency solution called Health Cost Estimator+. This product drives smarter decisions and reduces medical costs by giving employees the cost, quality and other key information they need to choose the best care at the best price. By removing the mystery and helping them understand the full costs of their care, Health Cost Estimator+ will change the way employees access the healthcare system. In the same AON survey, nearly 60% of consumers said they think employers should offer free tools to raise awareness of personal health status and risks and provide programs to help their employees achieve and maintain a healthy lifestyle. How can you meet this need? Consider Health Wealth Connection, a wellness program designed to help employees manage their physical health and personal finances, including guided assessments and weekly tips on health, money and stress management. You’ll never know what employees want if you don’t ask them. Once you’ve started the dialogue and understand their desires, it’s time to find the right mix of solutions to meet those needs. And that is how you hit an exchange homerun. These days, every company’s livelihood depends on its level of customer service. Did you know U.S. brands lose approximately $41 billion each year due to poor customer service ? To make matters worse, 65% of surveyed consumers said they’ve cut ties with a brand over a single poor customer service experience . Of course, most brokers realize this—which is why they are all about providing top-notch customer service to their employer groups. But as a broker, it can be tricky when you have to rely on outside forces to provide customer service. What happens when you have to turn members over to representatives of the products you promote? Whether the product is traditional medical or non-traditional, you have an obligation to ensure your members receive a first-class customer service experience—or else you risk losing their business. The fastest way to build member loyalty is to provide members with multiple customer service touch-points. In other words, members should have several outlets to ask questions about their insurance products. Today’s multi-generational workforce is incredibly diverse, and each unique worker navigates healthcare differently. While some employees want to call and speak to an actual person, others prefer to access their benefits information online or via their Smartphone. At New Benefits, we provide program members with a call center and a member website (MyMemberPortal.com). 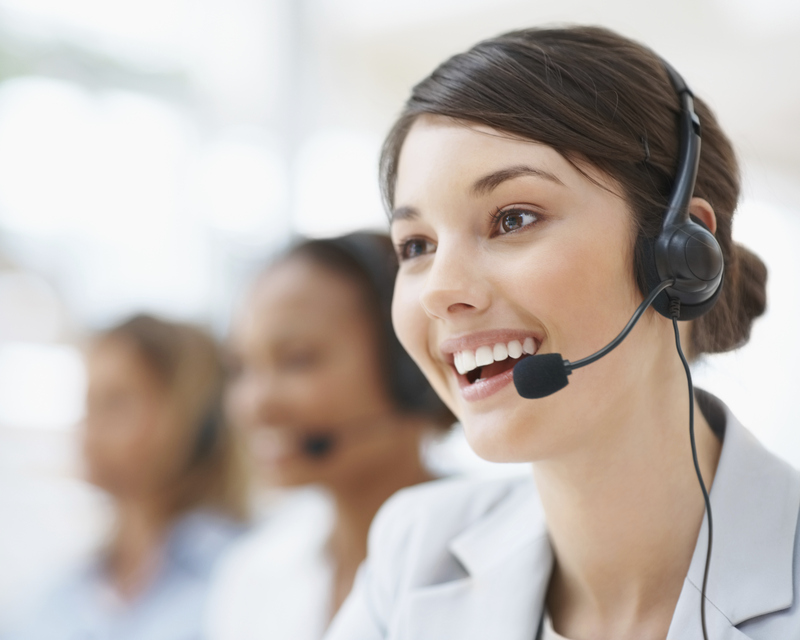 Our call center reps speak both English and Spanish. Internally, we call this department “Member Loyalty” because the team genuinely cares about providing the best service, which leads to higher member retention. Case in point: I recently received a testimonial from one of our marketers who used our Lab Testing benefit. He had never used the benefit before, and the receptionist at the lab didn’t know how the program worked. So he called our Member Loyalty center from the lab. Within a matter of minutes, they gave him all the details he needed to use the benefit, and he ended up saving $316 off his $753 bill. That’s a savings of 55%! If it weren’t for the first-class customer service he received from our Member Loyalty center, he may have skipped using the benefit altogether—and missed out on some significant savings. While outstanding customer service is an absolute necessity these days, education is the key to success in the benefits arena. Since non-insured benefits are not common knowledge to most consumers, it’s important to teach employees how to tap into these valuable solutions in conjunction with their insurance. When you help employees understand how to best leverage their benefits—all while providing a positive member experience—it will boost utilization and morale, decrease healthcare spending and help you build a truly loyal customer base. Satisfaction guaranteed! According to an Accenture study, in just two years, approximately one in five Americans will purchase benefits from a health insurance exchange. “The growth of private exchanges is rapidly transforming the benefits landscape, providing more flexibility to consumers and more opportunities for brokers to consult with their clients on this evolving benefits delivery model,” says Doug Field, Founder & CEO of IHC. As exchanges skyrocket in popularity, brokers, employers and consumers must do their homework to figure out how this solution fits into the already complicated healthcare puzzle. Today, exchanges offer solutions far beyond traditional benefits—from telehealth to health advocacy and voluntary programs. But here’s the secret sauce: Exchanges must provide purchasers with unique solutions without bombarding them with too many choices. Consumers want to feel empowered; not overwhelmed. If you want to serve up a successful exchange, the key is to provide product flexibility. It’s not about creating a max-product offering. Rather, it’s about hitting all the hot buttons for each distinctive group by offering a strategic, customized and thoughtful mix of programs. In other words, consumers want a balance between quality vs. quantity. Every exchange enrollee is different, which means cookie-cutter solutions simply won’t work. Take a closer look at your clients’ demographic. Who is going to visit this exchange? What product mix will be most relevant to this group? Geography: Unlike metro areas, rural areas do not have easy access to medical professionals. This presents a greater opportunity for benefits like Telehealth and Doctor Online. You have to delve deeper into these questions before you can determine which products to offer. Present your clients with a complete solution by providing a thoughtful mix of traditional and non-traditional products that meet their employees’ needs. Want to learn more about how to provide the right benefit mix in your exchange? Don’t miss the IHC Private Exchange FORUM expo in Dallas, Texas, March 31 – April 1. I’ll be discussing this topic as part of a selected panel of experts at a special session (see details below). I hope to see you there! 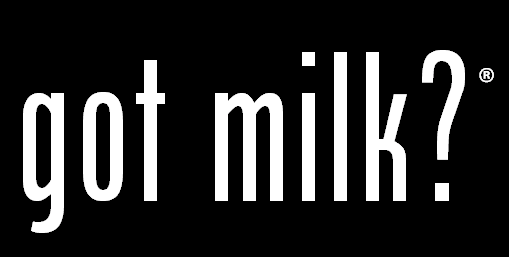 Moderator: Rick A. Strater, Division VP & National Exchange Practice Leader, Arthur J. Gallagher & Co.
Got Milk?® , and the Got Milk?® logo, are trademarks or registered trademarks of the California Milk Processor Board or its subsidiaries in the U.S. and in other countries. Years ago, I invited a friend over to watch a football game. After a controversial play, he asked me to rewind and pause the game so we could see exactly what happened. It turns out I was the only person in our group of friends who didn’t have a DVR. I was a (gulp!) late adopter. Why do I tell you this? To save you from the embarrassment I felt during that game. Soon after, I purchased TiVo. And of course, this brilliant technology has revolutionized my television viewing experience. Similarly, Telehealth can greatly improve your benefit conversations with your clients. Don’t wait until your clients ask you about this valuable benefit. Because if you have to admit you don’t have it, you’ll look like you are behind the times. Employer interest in Telehealth is skyrocketing. Implementation of Telehealth programs is expected to reach 37% in 2015, with another 34% considering this option in 2017. It’s time for brokers to get educated about this increasingly popular benefit. 1. Telehealth is the ideal solution for common illnesses. 2. Telehealth is incredibly easy. Here’s how it works: Once a member completes their medical history online, they’re ready to request a phone consultation. A doctor calls back within 16 minutes, on average. The doctor listens to the member’s symptoms, diagnoses the issue and prescribes medication when necessary. The doctor then calls in the prescription to the member’s specified pharmacy of choice. 3. Telehealth saves employers a bundle. 4. Telehealth drives employee engagement. New Benefits provides each member with a personalized welcome kit and membership card. We can also provide drip marketing including brochures, flyers and emails to keep Telehealth front of mind throughout the year. Don’t be the only one in your group with an old flip phone. Add Telehealth to your lineup today. New Benefits specializes in offering Telehealth with other non-insured benefits to provide a complete healthcare solution. Give me a call or watch this video to learn more about Telehealth and other innovative solutions. Posted in Bloggers, Brian Latkowski on January 21, 2015 by newbenefitsblog. As the end of the year grows near, ‘tis the season for festive holiday parties, tacky Christmas sweaters and decking the halls. It’s also that magical time of year when healthcare plans change and deductibles reset. On that front, I’ve got good news and bad news: The good news is premiums are decreasing. The bad news is deductibles are increasing. As a result, consumers need to consider their costs throughout the year and tap into benefits that will help them save money. As a father and husband, I understand this financial juggling act first hand. This is the time of year when I start to look at my family’s financial landscape for the upcoming year. I have two kids, RJ and Grady, who potentially need braces in the coming months. Braces, as you probably know, cost a pretty penny. As I prepare for this major expense (coupled with a higher deductible), I realize I must be an especially frugal consumer in 2015. It’s times like this when I’m incredibly thankful for benefits like Aetna Dental Access®. This valuable benefit will provide me a discount on both sets of braces in addition to any other dental services that may crop up over the year. But it’s not just medical expenses that can add up. When my family plans for a vacation, I always check out SaversGuide® for discounts on local restaurants and attractions. Administered by New Benefits, SaversGuide® provides access to discounts on dining, shopping and travel—which not only saves us money, but also promotes a healthy work-life balance. As a broker, make a New Year’s resolution that matters. As deductibles continue to skyrocket, encourage smart spending by offering your clients and their employees valuable non-insurance benefits. These innovative products help stretch the employee’s spending dollars while fostering employee engagement and loyalty. This resolution is a win for everyone: You, your clients and their employees. Posted in Bloggers, Brian Latkowski on December 17, 2014 by newbenefitsblog. It’s not easy being a broker in these tumultuous times. But as the old saying goes, challenge begets opportunity. As the benefits industry continues to shift and evolve, now is the time to become a leader and innovator. It’s time to be a benefits hero. How do you do that? I know you’ve heard this a million times—listen to your clients’ problems and offer the solution. Take a look at these simple ways to change the conversation with your clients by offering simple fixes to their issues. High Deductible Health Plans (HDHPs) are on the rise. As employers continue to slash medical benefits, you have the opportunity to swoop in and save the day with discount solutions. Employees who are enrolled in HDHPs for the first time may struggle with the increased out-of-pocket financial burden. Discounts on eyeglasses, contact lenses, eye exams and dental care stretch the employees’ healthcare spending dollars. Employees unknowingly increase healthcare spending when they don’t know about a better avenue for care. Explain how unnecessary visits to ER and urgent care create high costs for both the employer and employee. With flu season upon us, solutions like Telehealth not only keep people out of the ER when it’s not necessary; it also gives employees another option to seek advice and professional guidance. The healthcare system is more complex than ever. Employees need access to tools and resources to help sculpt them into more educated healthcare consumers. Health advocacy can be the employees’ side kick and find the right provider at the right location for the right cost. Promoting healthy behaviors is critical to improving population health and positively impacting healthcare costs. Health Wealth Connection is an innovative wellness program that addresses the complete spectrum of employees’ physical, mental and financial health. This benefit provides simple online tools and solutions to help employees manage their health and personal finances. It’s time to pull discount benefits off the bench and put these powerful solutions in the game. Once your clients realize the unprecedented value these products offer, you’re certain to be their hero. Posted in Bloggers, Brian Latkowski on November 24, 2014 by newbenefitsblog. If brokers want to survive and thrive in today’s uncertain benefits world, they must take an active role in educating and engaging employees. There are many strategies to engage employees in their benefits program leading to increased productivity, lower absenteeism and greater employee loyalty. There are three essential elements that can help employers achieve these goals. First, the employer must offer a meaningful benefits program designed to meet the needs of their employees. Secondly, brokers need to educate the employer and employees on the program. Lastly, and perhaps most importantly, employees have to actually engage in these benefits programs. After all, if a worker never even glances at their benefits, they certainly won’t take advantage of them. One way to engage employees is through the use of surveys. When you are meeting a customer for the first time, conducting an employee survey will allow you to gauge and better understand your audience and employee demographic. In the survey, ask employees to rank the importance of existing benefits and inquire if they would be open to having access to new benefit options, both insured and non-insured. This is a great way to design a program that truly meets the needs of the employees. If certain benefits resonate with employees, you now have undeniable proof to present to the employer, which may help to secure the broker of record letter. For existing customers, it’s time for a post-sale survey. Are employees aware of the existing program? Are they using it? What else do they need? Based on the results of the survey, you can show the employer how to evolve their benefits program and potentially add a benefit or two. This is a genius way to gain true perspective from the employee population and keep employees activated, engaged and educated about their benefits options. As an advisor, it’s important to work hand-in-hand with each client to create an activation strategy for their benefits program. You can educate and engage employees by communicating through a variety of different mediums, from email campaigns and lunch room posters to benefits administration systems and websites. Employers can also put benefits in the spotlight by hosting an employee wellness fair. To help employers pull off a successful fair, bring in key partners and provide benefit marketing materials and information about how employees can use these programs. Feed testimonials and information into the channels the employer typically uses to speak to their employees. Most employees spend a mere 30 minutes a year during open enrollment to focus on their benefits. Once they make their decision, they sign on the dotted line and forget about it. At that point, the benefits program becomes sick insurance—not health insurance. When supplemental programs are simply added to an overall employee benefits program, they often get lost in the shuffle. So, how do you encourage employees to tap into these valuable benefits, including non-insured solutions? For example, Telehealth solutions are having great success in reengaging employees, but like any other product, if the employee forgets the program exists they will not use it. When the Telehealth benefit is strategically incorporated into the employee benefits program and its availability is communicated during the course of year, utilization increases exponentially. It all comes down to creating an educational strategy that engages employees during and beyond open enrollment. Call me to learn more about other engagement strategies. Posted in Bloggers, Brian Latkowski on October 22, 2014 by newbenefitsblog. These days, there are multiple generations in the workforce: from the multi-tasking Millennial who wants everything right now to the busy Gen X’er with a full-time working spouse and three kids at home to the Baby Boomer who’s still working because he/she hasn’t squirreled enough away for retirement. And employer groups have the unenviable task of finding a way to meet all of their diverse needs, from health to wealth and everything in between. Not only do each of these distinct generations have varying benefit requirements—but the way they access their benefits is extremely different. If you can present your employer clients with a benefits solution that meets the needs of such a wide-ranging group, you’re way ahead of the game. To cater to a multi-generational work force, many employers are turning to health advocacy programs. As a broker, when you discuss health advocacy products with an employer group, it’s important to explain the “benefits behind the benefits.” Employers soon realize how non-insured products provide employees with guidance to navigate an ever-increasingly complex healthcare system, while also giving them complementary programs that help stretch their health and lifestyle spending dollars. Young Millennials: Health advocacy is ideal for young employees who haven’t owned insurance before and don’t understand how to tap into their benefits. These programs include a call center, offering Millennials a place to turn and ask the questions they are accustomed to asking their parents. Additionally, online resources provide the speed of access Millennials want. Gen-X: As these employees are starting and growing their families, they need help gathering resources and information. Health advocacy can help them compare facilities and get advice on what to expect. Baby Boomers: While these middle age employees typically understand insurance, they often don’t have the time to deal with complex insurance issues that arise along the way. They need someone to call on who can coordinate and resolve issues for them, such as when they need help finding a specialist. Health advocacy is an attractive benefit for Baby Boomer employees who want more personalized attention from a medical health advisor. Seniors: Because these traditionalist employees often have multiple plans, they need help understanding bills and coordinating claims. Health advocacy is the perfect solution. Health advocacy programs not only help today’s multi-generational workforce spend their healthcare dollars more wisely—these innovative benefits also keep employees happier, healthier and more productive. This is just one example of many non-traditional benefits employers should consider for a multi-generational work force. Call me to help you build a plan for your clients. Posted in Brian Latkowski on September 10, 2014 by newbenefitsblog. There is no question an organization’s number one asset is its people. If an employer wants to boost their bottom line, they must take care of their most important asset. Many employers believe competitive compensation is enough to keep employees engaged and happy. Yet study after study has proven this isn’t true. When it comes to attracting and retaining key talent, it’s about much more than just salary. The vast majority (79%) of surveyed employees say benefits are crucial for staying with a job, according to The 2014 Guardian Workplace Benefits Study. To top it off, the 2014 Aflac WorkForces Report found 60% of employees at medium-sized companies are likely to accept a job elsewhere with slightly lower compensation but better benefits. In other words, benefits are playing an increasingly significant role in whether or not an employee joins a company and how long they stick around. According to the Guardian study, employers who value wellness, preventive and work-life balance programs are more likely to be prepared for the Affordable Care Act (ACA) rollout. A great example of a work-life balance benefit is a wellness program which provides assistance with physical health and personal finances. A program of this nature should combine engaging and interactive educational content, personalized assessments and goal trackers to help employees and their families achieve lasting change. If employers refuse to offer this type of comprehensive work-life balance program, their top employees will inevitably jump ship and seek these benefits elsewhere. This is the mindset most employees have these days: “How is my employer helping me?” In my last blog, I mentioned non-insured products give employers an opportunity to increase employee productivity, boost morale and decrease absenteeism. More employers are recognizing these advantages, especially when their advisor properly explains the benefits of non-insured programs. I have seen 70 to 80% of these employers buy the program as a feel-good bonus to show their number one asset how important they are to the company. At a minimal expense, more and more employers are offering non-insured programs to complement their employees’ core benefits or to give them peace of mind. For instance, roadside assistance may sound trivial, but it’s a great way for employers to let their employees know they have their backs. When an employee has car trouble, it’s a meaningful benefit. It shows employees exactly what you’ve done for them lately and encourages them to stick around. Posted in Brian Latkowski on August 20, 2014 by newbenefitsblog. As the EVP Employee Benefits Practice Leader with New Benefits, I spend a lot of time talking with brokers. I often ask them if they remember back 10 years ago when I encouraged them to go out and sell voluntary benefits. Back then, they basically told me to get lost. Those early products were what I call “Johnny Lunch-Bucket” benefits, created primarily for the fixed-wage earner who couldn’t afford traditional insurance. Since then, product manufacturers have paid close attention to the evolving needs of the employee and the changing landscape of employer sponsored benefit programs. Thanks to the evolution of products such as life insurance, critical illness and accident plans, everyone from the fixed-wage earner to the highly paid executive now has the opportunity to piece together a comprehensive benefits offering tailored to meet their specific needs. Although they were reluctant at first, brokers today have embraced voluntary benefits. 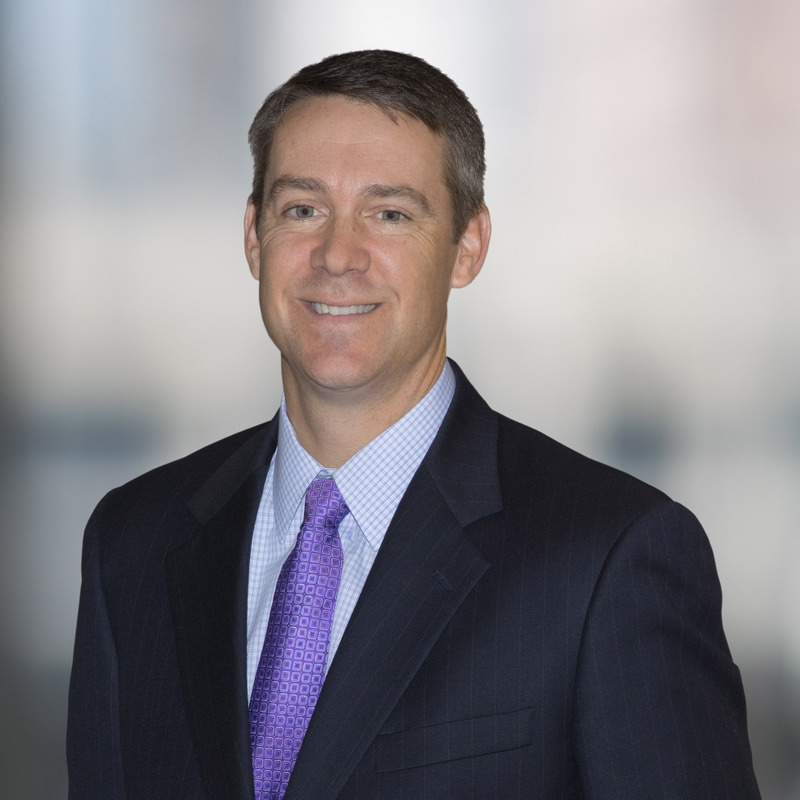 Earlier this month, our CEO Joel Ray wrote about how the Affordable Care Act is impacting the benefits industry. Of course before the ACA passed, we had already been dealing with steady premium increases for many years—but Obamacare has certainly accelerated this trend. In these tumultuous times, employers are looking for ways to supplement their existing insurance-based benefits through the use of non-insurance solutions. Today non-insurance products are truly light-years beyond what they were a decade ago. In this day and age, many leading consultant and brokerage houses include non-insurance products in their arsenal. Simply put, their clients see how these programs provide employees with increased advocacy, helping them navigate an increasingly complex healthcare system. To top it off, these innovative products complement an employer’s core benefits program, helping to further stretch the employee’s healthcare spending dollars. There is no question that our non-insurance medical and lifestyle benefits help employees save time and money in uncertain times. However, non-insurance solutions do so much more than that. These state-of-the-art products offer employers a unique opportunity to increase employee productivity, boost morale and decrease absenteeism. It’s become clear that these cutting-edge products are the next evolution in employee benefits. As a broker, if you are not currently offering these contemporary solutions, you’re already a step behind the curve. Posted in Bloggers, Brian Latkowski on July 23, 2014 by newbenefitsblog.